One of my childhood dreams was to transform into a cartoon and live in a paper world of fantasy. After seeing me spin fire, my Italian friend, Valentina Murphy, made my dream come true with these lovely illustrations. I just love it when people inspire each other through different means of creative expression. 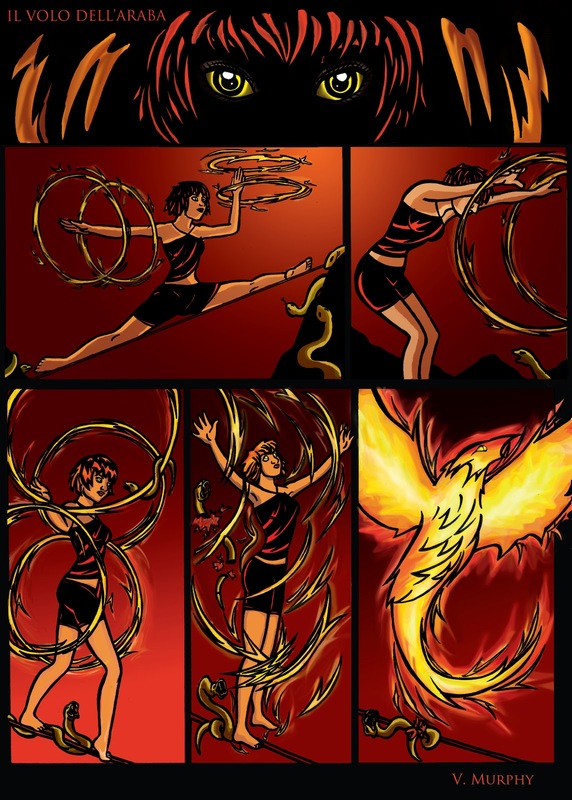 Not only did Valentina turned me into a cartoon, she turned me into a Phoenix, a mythical sacred firebird, which was believed to reproduce itself from its own ashes and thus has always been a symbol of rebirth, immortality, and renewal. Classical myths have always been one of my ongoing interests and sources of inspiration, so seeing her work left a very big smile on my face. More lovely illustrations are on Valentina’s blog. What is dance? What is beauty? ‘Uncomfort Zone’ explored the key aspects of Mehmet Sander‘s renowned ‘Manifesto on Dance’: dance is a premise to refuse comfort, emotion and music, in favour of collision, maximum velocity and gravity as enhancements of – rather than inhibitions to – performance. I took part in a five-day workshop where Sander, performer and choreographer of high-impact dance, challenged the participants physically, mentally, and intellectually. He pushed us to overcome some of our most natural fears as human beings – falling, colliding and trusting people – and led us into a whole new way of perceiving dance, purity and beauty. 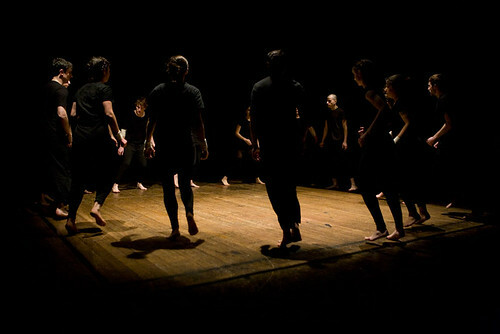 The workshop was followed by 2 live public performances in the Great Hall, People’s Palace at Queen Mary, University of London. Photos were taken by Bobby Whittaker and you can find more on my Flickr.